A jury has found William Balfour guilty of murdering actress Jennifer Hudson's mother, brother and 7-year-old nephew in 2008. Balfour, 31, was accused of killing the three in a jealous rage, believing that his estranged wife, Julia Hudson, Jennifer Hudson's sister, was dating another man. Jennifer Hudson, who sat between her fiance and Julia Hudson, silently cried as the verdict was read. Her fiance held her hand and rubbed her back. As Jennifer Hudson started to cry, her sister reached over and grabbed her hand and they looked at each other for a few seconds. Balfour appeared to sit expressionless. After the verdict, Balfour's attorney, Cook County Public Defender Amy Thompson, again characterized the case against Balfour as circumstantial and maintained his innocence. She said there would be an appeal. "We are disappointed in the verdict, but we do appreciate all of the hard work the jury did in this case," she told reporters. "We're hoping that the appellate court will take a look at this case with a very critical eye." The Hudson family left the courthouse out of the public's view without addressing the media. Cook County State's Attorney Anita Alvarez spoke with Jennifer Hudson moments after the verdict and said Hudson was "emotional, but relieved." Later, Jennifer and Julia Hudson issued a statement of thanks to police, prosecutors and others involved in the trial, according to The Chicago Sun-Times. "We have felt the love and support from people all over the world and we're very grateful," the statement said. "We want to extend a prayer from the Hudson family to the Balfour family. "We have all suffered terrible loss in this tragedy," the statement added. "It is our prayer that the Lord will forgive Mr. Balfour of these heinous acts and bring his heart into repentance someday." The announcement that there was a verdict came shortly after the jury told Judge Charles Burns that it was split but wrote in a note, "We are trying." Burns ordered a resumption of deliberations in hopes of the jury's reaching an agreement. In a second note, the jury requested testimony about Balfour's cellphone records. Soon afterward, after some 18 hours of deliberations over three days, the jury found Balfour guilty of all charges against him -- three counts of first-degree murder, home invasion, residential burglary, aggravated kidnapping and possession of a stolen vehicle. Jurors said later that they overcame what was a 9-3 split in the jury room favoring a guilty verdict to come to a unanimous decision. "There were three of us who just needed to see the picture a little clearer," said Jacinta Gholston, 35, who works for a Chicago-based chocolate company and initially was among the dissenters. "There were some holes or some gaps, per se, that just needed to be filled in." Jurors said the mild disagreement was resolved by putting together a timeline of Balfour's movements, largely from the testimony about his cellphone records. "He could not be in two places at one time," said Paula Halcomb, a teacher in Chicago's southwest suburbs. "The cellphone records were key, actually." Despite the focus on Jennifer Hudson, jurors said the actress, her testimony and the attention she drew to the case and courtroom did not factor significantly into their deliberations. "No, that didn't weigh in on our [deliberations], what Jennifer said, because, really, she didn't say anything," juror Tracie Austin said. "This wasn't a case about Jennifer Hudson to us," Gholston added. "This was a case about William Balfour." "We absolutely felt some empathy for him," she added later. Asked if the jury had any message for Jennifer Hudson, jury foreman Robert Smith, a bus aide for the Chicago public schools, said, "To be perfectly honest, I really don't have anything to say with her. I just hope she can put this behind her and really get on with her life." The trial began on April 23 in Chicago. Prosecutors called more than 80 witnesses over two weeks, and the defense rested its case after 30 minutes, calling only two witnesses to the stand. Balfour did not testify. Prosecutors alleged that Balfour fatally shot Hudson's mother, Darnell Donerson, 57, in her living room, and then shot Hudson's brother Jason Hudson, 29, as he lay in bed. He then kidnapped Hudson's nephew Julian King, who was 7. Investigators believe the boy was shot in the head as he lay behind the front seat of an SUV. Prosecuting State Attorney Veryl Gambino said Balfour was in a state of rage over Julia Hudson's dating another man, and said Balfour had issued several threats against her and her family. Balfour allegedly was enraged on Oct. 24, 2008, after he saw balloons another man sent to Julia Hudson and punched them. Julia Hudson found her mother's body in her home and initially thought she had fallen. It wasn't until she saw blood that she realized something worse had taken place. Julia Hudson ran screaming from the house and called 911. 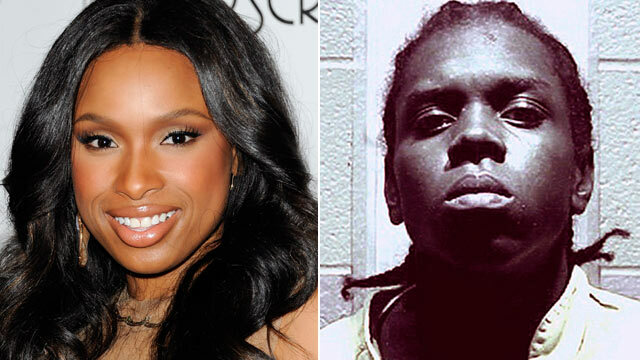 The killings happened in the family home in Chicago's tough Englewood neighborhood, where Jennifer Hudson grew up. In Assistant State Attorney Jennifer Bagby's closing arguments, she said that Balfour "was fueled by his obsession, his jealousy, his determination to catch his wife, Julia Hudson, with another man. She didn't want him around, her family didn't want him around. But in his mind, she was his wife, and if he couldn't have her, no one could." Bagby punctuated her narrative by frequently quoting Balfour's allegedly repeated threat to his estranged wife: "If you leave me, I will kill you. I will kill your family first. You will be the last to die." While the defense argued no physical evidence linked Balfour to the murders, prosecutors spent significant portions of their closing arguments focusing on what they said was important physical evidence in this case. The evidence included cellphone records that put Balfour near the scene at the time of murders, gun residue found on Balfour's clothing and on the steering wheel of his car, and the key to Jason Hudson's SUV found on Balfour when he was arrested. Prosecutors spoke about the "overwhelming circumstantial evidence." Balfour's attorneys say there is no evidence or DNA linking him to the murders. Thompson said in her closing arguments that police "weren't trying to figure this out. They had their man. They spread it across the news. They were just trying to prove it by building a case any way they could." Thompson emphasized that Balfour's fingerprints were not found on the gun or the car where Julian was killed. "The one constant in this case is that every piece of DNA evidence absolutely excludes William Balfour," Thompson said. "The one person in all of Chicago who didn't do it is him. That's what the evidence showed."